HydroTops Flush is one product many growers cannot do without, as it acts much like a PK booster in the latter stages of flower. 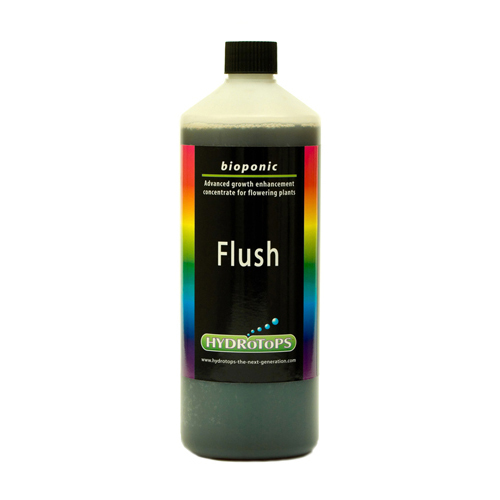 HydroTops Flush stimulates the plant to consume all this extra nutrition that remains in the plants tissues and sap before allowing it to be flushed out. This catalysing force further boosts yields, hardening up already swollen flower heads to extreme levels, whilst enhancing flavour and aroma. 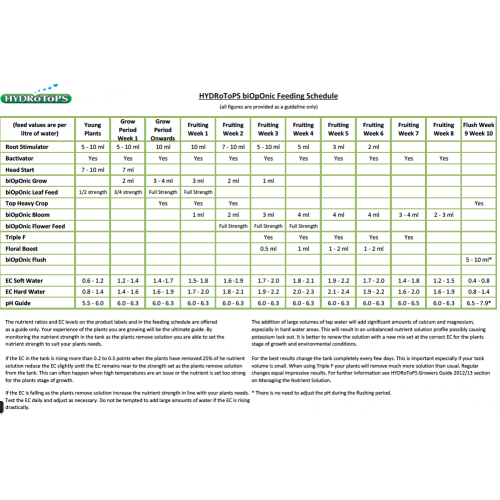 Use Hydrotops Flush when your nutrient uptake has slowed, typically around two weeks from harvest at a rate of 5-10ml per litre. 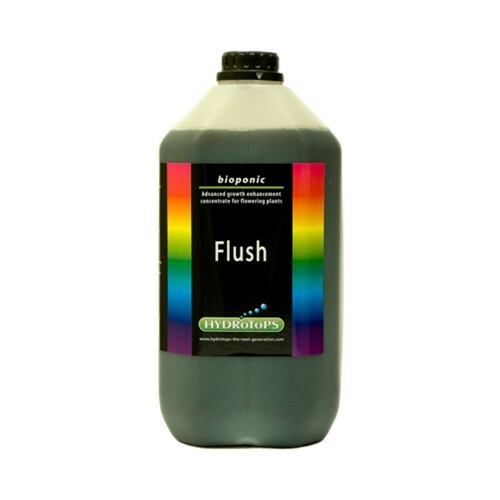 Hydrotops recommends flushing for a total of ten days, beginning with a 10ml application into your nutrient reservoir (switching out Hydrotops Bloom for Flush) for the first three days before reducing to 5ml per litre for the following three days. Four days before harvest use only plain tap water. By extending the flushing cycle in this way Hydrotops Flush will boost harvest quality and weight significantly.